So I hear many people saying that Google is trying to make our life difficult. No guys. Google is not trying to make our life difficult. Think of Google as a business. Think of search as a product. Naturally, every company wants to have a better product. So as they improve their product the SEO game changes by default. No, listen, listen listen, listen. Yesterday we all had a lot of chocolate. So today you must be full of energy. I don’t want to hear your excuses. You have to crush it. Wait, wait the camera is on. Today you have to crush it. I’m gonna send you this video. Your life is a message to this world. Your life is a message to this world. So make sure your message is inspiring. Make sure that your message is not empty. I don’t know what the future of SEO is, to be honest with you. But I can tell you what can separate you from the pack now and on the near future and it’s called log file analysis. And I am not even talking about traditional log file analysis and traditional SEO. The same concept, the same idea can be applied to RankBrain – the machine learning algorithm – or even Voice Search. And I really want you to understand the idea that tools like Google Search Console, for example, can tell you how many pages get crawled on a given day. But this tool doesn’t really show you what those pages were. So let me make something very clear. Imagine you’ve got some new pages or some core pages on your website that you want to rank for on number one in Google. So normally to improve these pages you change the page title, you change the meta description, maybe you gonna introduce some new content. But boom suddenly nothing changes, nothing changes regarding the rank position. With log file analysis you can see exactly what the GoogleBot looks at when it comes to your website. So you can discover what sections of your website are wasting their crawl budget and not seeing these changes. So the future of SEO, in my opinion, is having the real data in front of you. You know. So when you make your decisions they are data-informed decisions. You know. Not using some data that you may think is good but when you actually look at the details you realise that is not that good. I talk a lot about branding and very often people ask me what a brand is and is not. And I can tell you this for sure: It’s not your logo. Let me repeat this one: It’s not your logo. People don’t buy your products or services because of a logo or graphics or even a good website. It’s about the value you provide to your customers. Let me repeat this one. It’s about the value you provide to your customers. And to be honest with you in this era of storytelling product and branding go hand in hand. You know, start with the product and immediately try to understand its brand. For example the value proposition, its differentiator and its origin story. Build on that, share and be genuine. 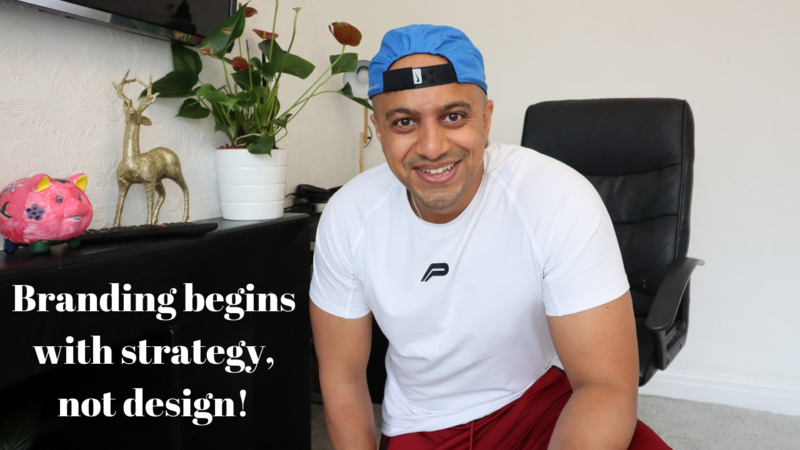 Branding begins with strategy, not design! Because to be honest with you the branding exercise should only begin once you are pretty comfortable with what and how you will be selling. As usual, as usual, I am a little bit…my vision is always a bit different so to understand where my thinking, where I am coming from, let me say something that I’ve been saying a lot recently. Google (or for that matter every search engine) is a business. And the searchers, you know the people who are looking online for stuff, they are their customers. So like every business they want to satisfy their customers (and probably make some money). Not just that but they also want to bulletproof their business for the future. So whether they call it a RankBrain, OmiBrain or ElephantBrain – whatever – doesn’t really matter you know to me. They have to constantly improve their product, you know, and whether people agree with me or not you know machine learning is the future. Machine learning is the way forward. And I am not talking only about Google, I am talking about almost every software application in the near future gonna have an element of machine learning inside. Do you really think that a company like Google not gonna use machine learning to secure their future? 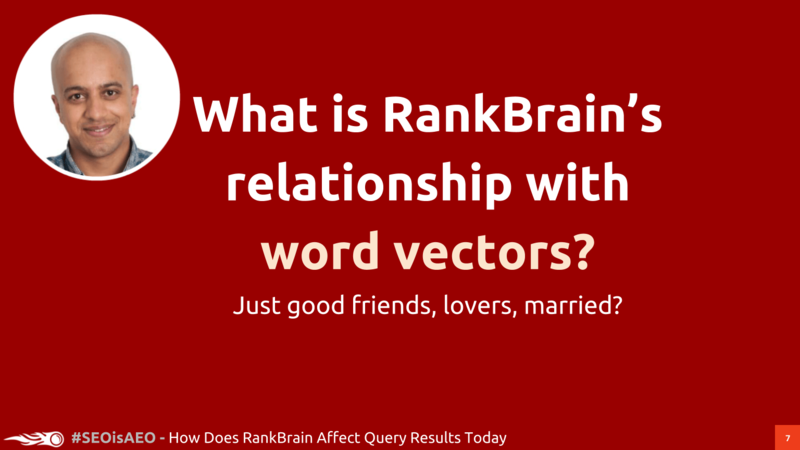 What is RankBrain’s relationship with word vectors? Jason, tell me who your friends are and I will tell you who you are. Or to make it a little bit more visual for people who are not into vectors and words, you know, this stuff if you look at my pictures online you see a lot of people like Gerry White, Nick Wilsdon, Purna Virji. Ok, I’m gonna be honest with you when I am not doing SEO my name is Bob The Builder. So the time has finally come to fix this room. It’s Saturday and I am tired. Just came to mind that very often people ask me ‘Is Technical SEO important’? Similar to what I am doing here every successful digital marketing starts with a solid base. And technical SEO is this base. So basically make sure that everything is nice and sturdy and in place. Now going back to laying the foundation of my new carpet. 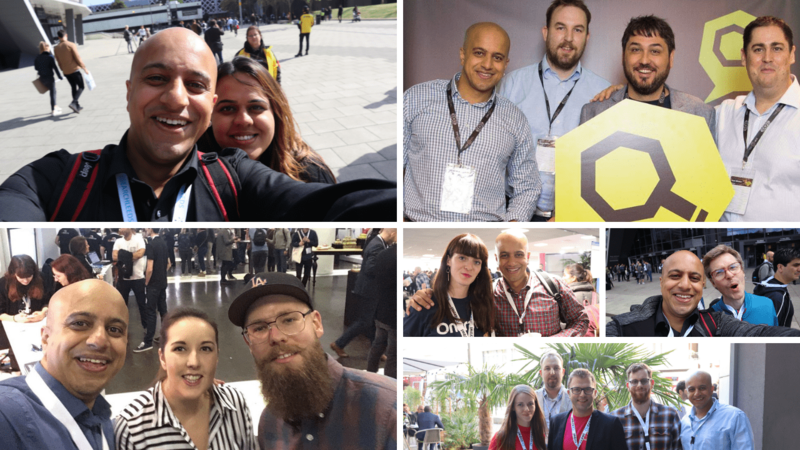 The Sunday Talk – SEO is changing. I am so pumped. 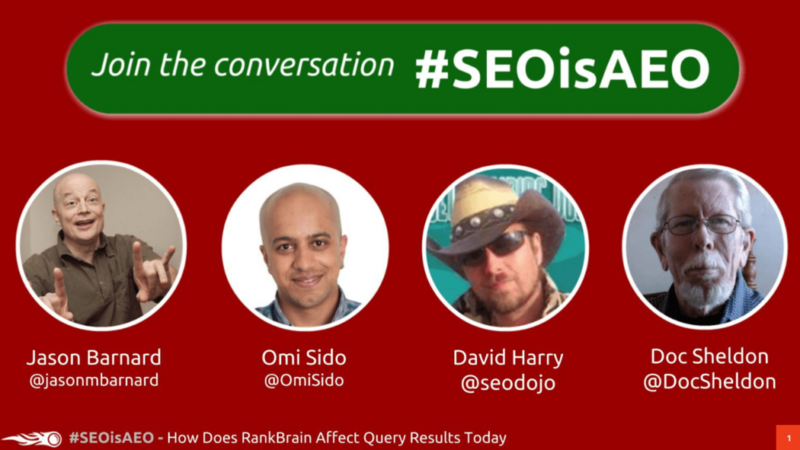 Honestly, I am so pumped every time people ask me about the future of SEO. Every time people ask me about the constantly changing SEO. Cause I imagine, I hope that understand that SEO – as part of Digital marketing – is the future for every single company out there. And I am not talking about the SEO of keyword stuffing or pointless visits to a website. 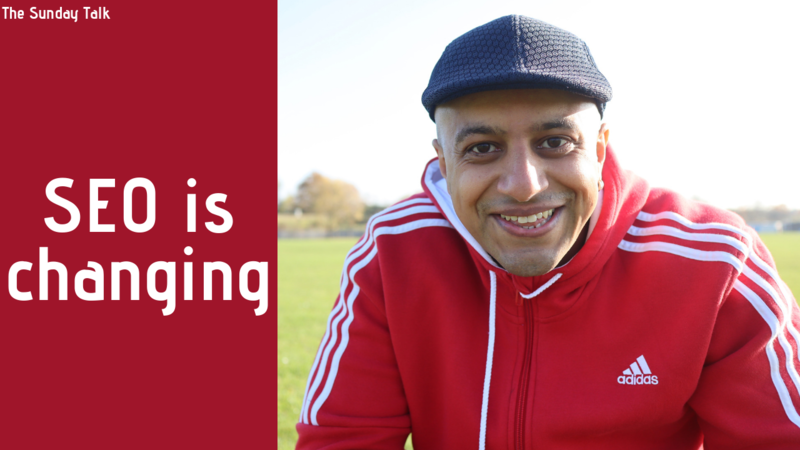 I am talking about the SEO of knowing your audience, understanding your audience, interacting with your audience. Or in simple words ‘give them value’. I hope I give you value every time you come to this YouTube channel. So please do come back here next week cause you’ve got the questions and I’ve got the answers.